Kalank box office collection prediction: Kalank starring Alia Bhatt, Varun Dhawan, Sanjay Dutt, Madhuri Dixit, Sonakshi Sinha and Aditya Roy Kapur is all set to hit the silver screens tomorrow, i.e April 17. On its first day at the box office, the film is expected to take a bumper opening. Kalank is one of the most anticipated films of the year. Kalank box office collection prediction: With an interesting storyline, mega star-cast, magnificent sets and trending chartbusters, this week’s release Kalank has ticked all the right boxes to make it a blockbuster. Starring Alia Bhatt, Varun Dhawan, Sanjay Dutt, Madhuri Dixit, Sonakshi Sinha and Aditya Roy Kapur, Kalank is one of the most anticipated films of the year and the excitement around the film is on an all-time high. Looking at the buzz around the film, it is expected to take a bumper opening at the box office. 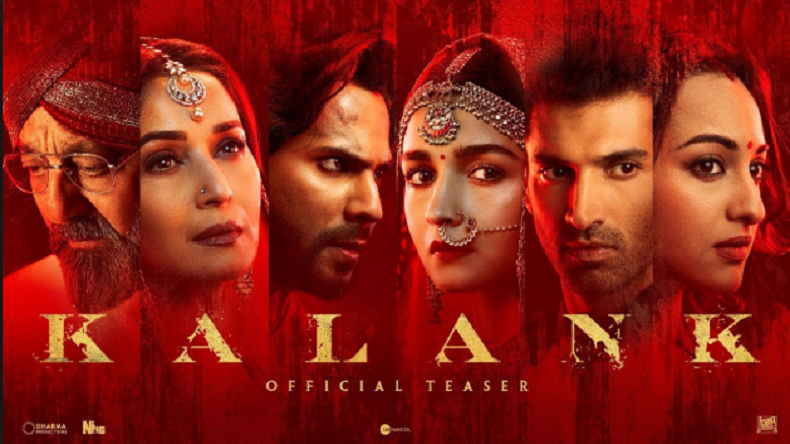 Trade analyst Girish Johar has told a news portal that Kalank is expected to earn around Rs 20 crore on its opening day. He said Kalank is made by one of the top production houses in the country, i.e Dharma Productions. With this, the film is releasing on the occasion of Mahavir Jayanti. Encashing on a long weekend, the makers of the film are hoping for a mega release and take a lead prior Avengers: Endgame’s release. He added that people will watch the film at least once. Additionally, the film features big stars like Alia, Varun, Sonakshi, Aditya, Madhuri and Sanjay so it is expected to be a huge summer release and earn around Rs 18-20 crore, he reiterated. With positive word of mouth, the film will easily enter Rs 100 crore club. Helmed by Abhishek Varman and bankrolled by Karan Johar under the banner of Dharma Productions, Kalank is release in around 3000 screens. Since there is no other film releasing alongside Kalank, the film will enjoy a smooth run and trump previous releases. Film producer Karan Johar had earlier revealed that Kalank was the last film that his father worked on and it was his dream to see this film take its form on celluloid.